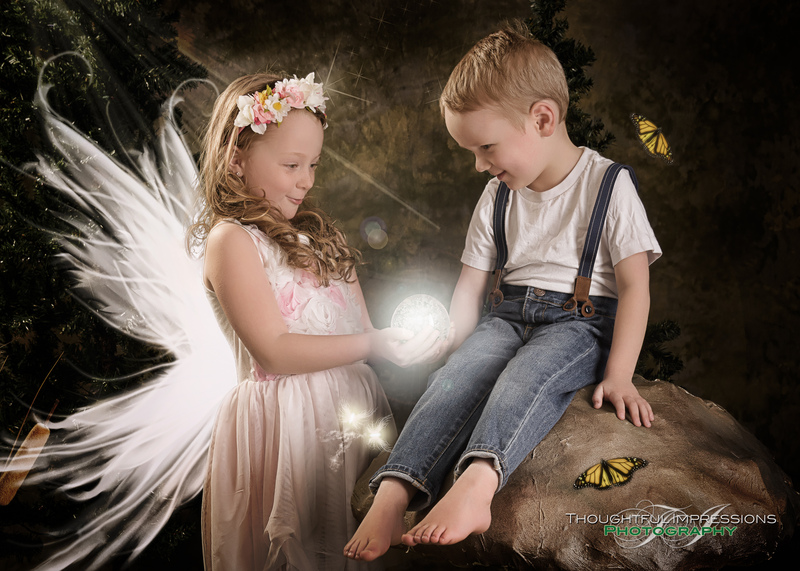 My next Magical Moments Fairies & Lil Fishermen day will be on April 13 & 14, 2019. Once again, on this special session they are only $55+HST for the session plus a 5×7 print of one pose. If you have more than one child, additional children are just $25+HST each. Each child will receive 1 finished 5×7 print from their sessions. These beautiful art pieces, not only make great keepsakes, but also make wonderful gifts. Additional products are available such as other print sizes, digital options, as well as beautiful gallery wrapped canvas! Sessions are recommended for ages 3 and up. I have successfully done several children younger than 3, but I cannot guarantee results as a bit of direction following is required. For the little fairies, just have them come with a light coloured dress – try to avoid big bold prints. For the lil’ fishermen, a white t-shirt and some overalls or jeans work well… Take a look at the samples below for some ideas on outfits. All the make believe magic is provided by me during editing. A $20 deposit/retainer is required to hold your spot with the balance due at the time of your session! Deposit can be made via email money transfer, visa/mc or drop off cash to my home studio. Call/TEXT 705-772-7702 or email me at info@thoughtful-impressions.ca with questions or to book your spot!